How does a natural CC cream sound to you? Appealing, yes? Well, how about one that is also 70 percent organic? Awesome much, isn’t it? But wait. How is a CC cream better than a BB cream? And more specifically, what’s so special about Physicians Formula Organic Wear CC Cream? Is an organic CC cream really better than its BB cream and its non-organic CC counterpart? This is the first time I’m using something from Physicians Formula. I know about their skin care range but was pleasantly surprised to learned about their Organic Wear line where all the products are said to be 100 percent natural and 70 perecent organic. 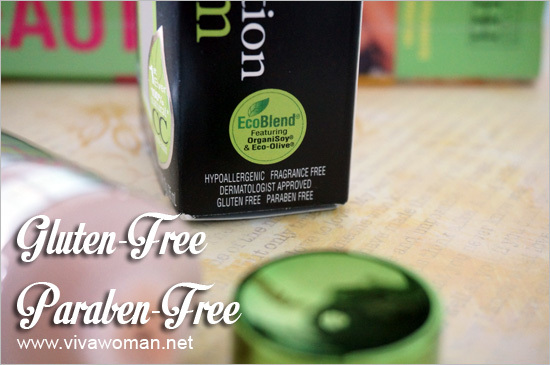 The products do not contain toxic chemicals, synthetic preservatives and fragrance. In addition, they are also gluten-free, GMO-free and cruelty-free. I’d read some good reviews about their organic mascara and when I saw this Physicians Formula Organic Wear CC Cream at iHerb going for just US$14.35, I thought, why not? 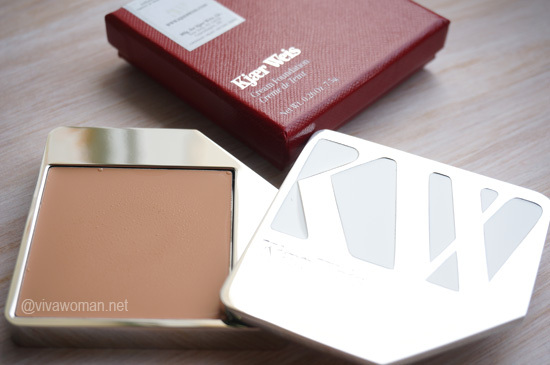 Afterall, I needed a foundation and this CC cream seems close enough for my requirements. So what exactly is a CC cream and how is it different from a BB cream? Can it work well like a liquid or cream foundation? 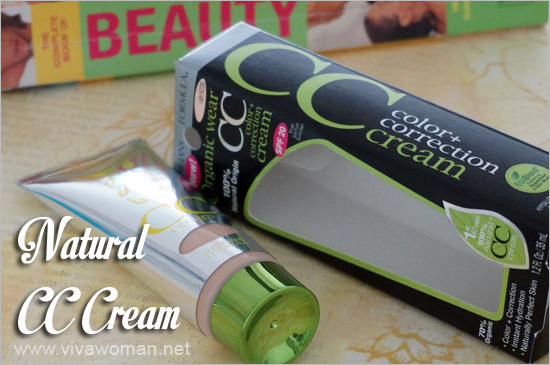 CC cream really means color correcting cream whereas BB cream stands for beauty balm. According to my understanding, CC cream is supposed to be lightweight and imparts light-diffusing particles to even out skin tone. It is also supposedly less creamy and moisturizing than a BB cream. But after using this one, I can’t really tell a remarkable difference between a BB and a CC cream. I mean, you can call the Physicians Formula Organic Wear CC Cream a BB cream and I’ll still believe you. My recollection of having used some BB creams is that they tend to make my face look more shiny. What I can tell you though is that this is an excellent product and I really like it a lot! Not only does it color correct and even out my skin tone, it is easy to apply, truly feels weightless on my skin and doesn’t cake or dry up even after a few hours, especially under my eye area. The coverage is medium sheer and is buildable. Sometimes I set this with a powder, but I can go without and the CC cream doesn’t oxidize or streak after a few hours. I got this in the light tone and it fits my skin color perfectly. 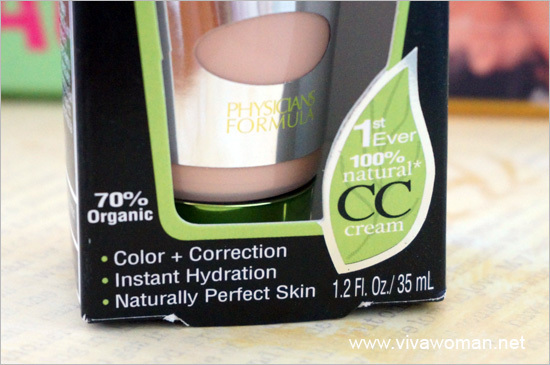 Besides color correction, I also learned that the Physicians Formula Organic Wear CC Cream contains skin-nourishing benefits to deliver brightening and complexion-enhancing properties. If you see my picture above (crap hair I know), you can see that it helps reduce the dullness to reveal slightly brighter-looking skin that looks somehwat dewy (left side vs right side). I wouldn’t say the finishing is flawless or radiant but it indeed helps to blur some of my imperfections. In addition, I’m satisfied that this comes with an SPF of 20–not high like my sunscreen of SPF30 but still good enough for a makeup product. Physicians Formula Organic Wear CC Cream is formulated with many beneficial ingredients and the following is the complete list. Active Ingredients: Titanium Dioxide 3.9%, Zinc Oxide 1% Inactive Ingredients: Citrus aurantium dulcis (orange) fruit water*, dodecane, simmondsia chinensis (jojoba) seed oil*, titanium dioxide, polyglyceryl-4, diisostearate / polyhydroxystearate / sebacate, silica, glycerin+, lecithin*, water, magnesium sulfate, polyglyceryl-4 isostearate, beeswax*, porphyra umbilicalis extract, citrus limon (lemon) peel extract*, euterpe oleracea fruit extract*, agave tequilana leaf extract*, helianthus annuus (sunflower) seed oil*, copernicia cerifera (carnauba) wax*, cyamopsis tetragonolobus (guar) gum*, lauroyl lysine, leuconostoc / radish root ferment filtrate, leuconostoc ferment filtrate. May Contain: Iron oxides. I really like this product very much and would recommend it. Don’t expect full coverage but the finishing is natural and it lasts a full day without fading off or streaking up. It can be used over another facial product or on its own. I use this over my MVO Facescreen and also a new one that I’ve been trying without issues. I can also use it under my eye area without the skin coming out crepey. The reviews at iHerb are also favorable, but one common gripe is that the colors do not favor those with darker skin tone. You may also notice that those with acne scars prefer a better coverage and this CC cream does not cut it for them. Also, this product contains beewax, which may clog pores. However, it’s right near the end of the list and so I don’t see it as too much of a problem for myself. Users who have tried other CC creams from the Physicians Formula slate have said that they noticed a difference with the finishing. Otherwise, performance didn’t differ that much. 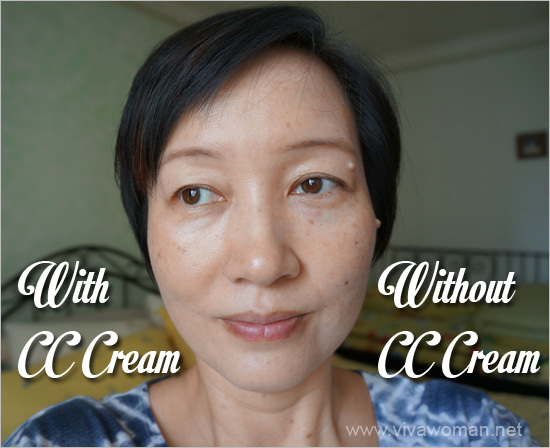 But I did read one review that stated that she preferred this CC cream to their BB cream. 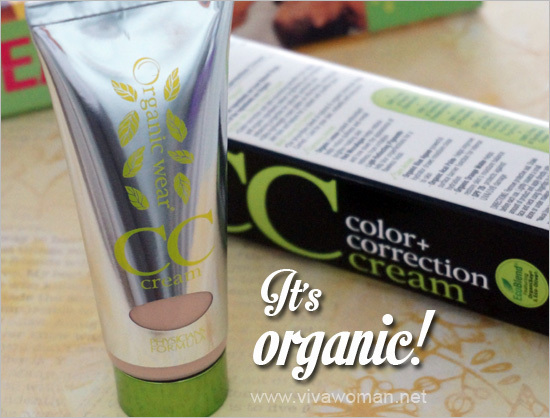 For me, I’m truly happy with this Physicians Formula Organic Wear CC Cream and will be repurchasing. It’s way better than the natural liquid foundations I’ve tried and used. In fact, I may even upgrade it to my list of HG products. I mean with a mostly natural formulation, affordable price and above average coverage, why not? Get the 35ml Physicians Formula Organic Wear, CC, Color + Correction Cream from iHerb. If youâ€™re shopping at iHerb for the very first time, you can enjoy US$10 off if your purchases are $40 and above (US$5 if below $40). Use my promo code OVO966 (affiliate). Shipping is speedy: you have a choice of using DHL, which takes three days to arrive from US to Singapore. I pay US$4 for the shipping via Singpost and it always takes about five days with no issues. Anyway, you’re given a tracking number if you ever need to locate your parcel. Oh wow! I’m so tempted..and if i can get a good shade, this will go into my cart today. Haha. Was already planning an iherb purchase. Lucky i did not click process this morning! The other shade is light/medium. Hope it’ll work for you. That’s a product worth trying! I have really bad undereye circles, so I was wondering if the cc cream can be used with concealer? If so, I’m assuming concealer should be over the cc cream, otherwise it would be rubbed off when I apply the cc cream? 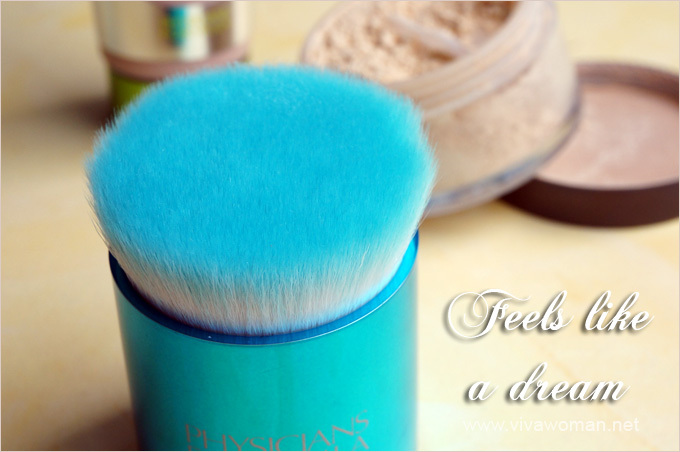 You can use it with a concealer because this is very light weight. Either over or under–should not make that much difference. And by the way, I can testify that Physicians Formula mascara is very good. It’s never hurt my eyes and washes away easily, as compared to other brands that claim to be water soluble and gentle. I did consider the Andalou Naturals too but read the shade is slightly more orangey for some. I think it should work. I am fair and have yellow undertones…the shade works for me. My sister will travel in Singapore soon in next week about 1,5 day. I really like physicians formulaâ€™s organic line (cc & masscara). Can you tell me where store or place/shopping mall sell this brands in Singapore, not online shop. I he h Watson but they not available this brands at website. So idk where to buy? Please answer me as soon as you can. Thanks so much. Have a nice day! I haven’t seen this brand here. I got it from iHerb.com. Haven’t seen it at Watsons. My sister will travel in Singapore soon in next week about 1,5 day. I really like physicians formula’s organic line (cc & masscara). Can you tell me where store or place/shopping mall sell this brands in Singapore, not online shop. I he h Watson but they not available this brands at website. So idk where to buy? I really appreciate you distinguishing between color correcting creams from beauty balms. Unlike balms correcting creams are lighter on the skin and won’t make the face shiny. This Valentine’s Day I will consider getting an organic age correction cream to surprise Mom, who at her age is unusually beauty- and age-conscious.